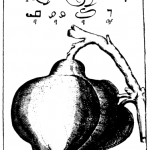 This is one of several pages of vintage images for the image category Images of Fruit. 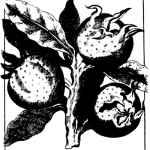 Vintage quince image from 1653. 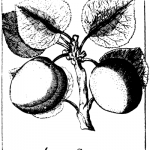 Vintage and public domain drawing of a pair of apricots. It is over 350 years old. This black and white line drawing of apricots is free to download. 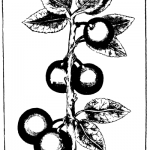 Simple vintage image of cherries on a branch. Vintage fruit in a vintage image. Free downloadable image of a bunch of grapes. 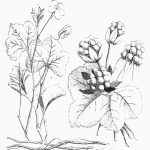 Free public domain image of cloudberries.